Umm yes please.. especially that tote… ooh la la! That dress!!! I'm obsessed with stripes. I can't get enough of them. 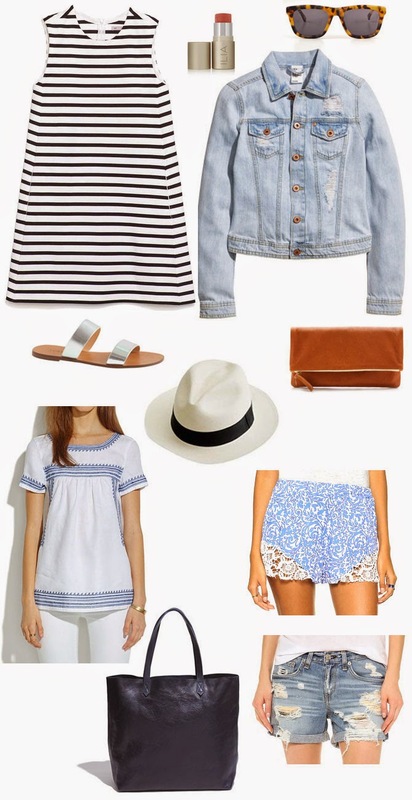 Denim + stripes + panama hat you just cannot go wrong! I love that striped dress so much!